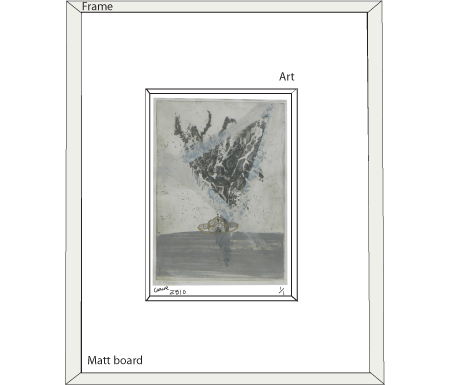 The art is sandwiched between a board and a matt, here leaving the edge and signature visible through the window. 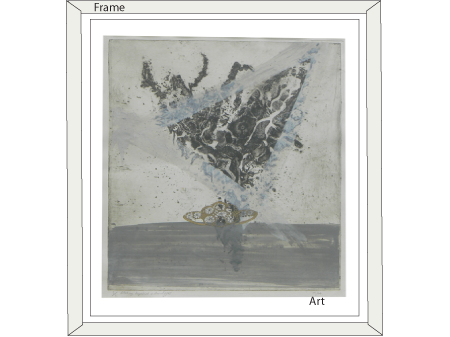 The whole piece of paper is hung in the frame, the glass size / frame size is larger than the paper size. 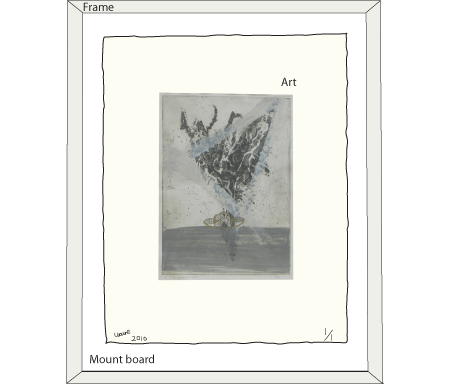 No mount visible for a box frame or for a close cropped canvas or panel frame. Here the canvas or panel is suspended in the interior space of the tray frame with an air gap all around. Usually framed without glazing. We use 2000 micron mountboard for the bespoke range, a thicker board, the jumbo sheets are 1500 microns maximum size for floated or matt mounted work - 1525 x 1020 mm. The boards are conservation quality and acid free, white core. If you require samples, please ask. The fillets we use for box framing are paper wrapped wood, The papers are the facing papers of mountboard and are acid free, the adhesive used is an inert acrylic adhesive which is acid free. The fillets are available in the colours below and are 6mm, 12mm, 19mm and 25mm deep to create the box of your choice.